The Marathon season is here with Manchester, Paris, London and others taking place over the next few weeks. In Part 2 of PerformancePro’s Marathon Training series, we share 10 tips to help ensure your final preparations go smoothly, so that you’re raring to go come race day. Don’t try anything new – You’ve been training for months. During this time you’ve practised your nutrition and figured out what equipment works best for you. It’s really important that you don’t make any last minute changes that could potentially disrupt your performance. So don’t try any new foods or make alterations to your kit, stick with what’s worked throughout the training process. Resist the temptation to cram – More often than not during a programme, people miss sessions. Whether it’s due to injury, illness or perhaps a holiday, it does happen. The important thing is to let it go, and resist the temptation to make any last minute gains. Doing a long run or big hill session in the final week to ‘catch up’ is a very bad idea and will only prove to be detrimental! Try to get your mind off running – The lead up to the marathon can be a bit ‘run heavy’. People will inevitably ask you about the race, and the expo can be pretty full on, so during the week before try to relax as much as possible and keep your mind on other things. Spend time with friends and family and avoid stressful situations where you can. 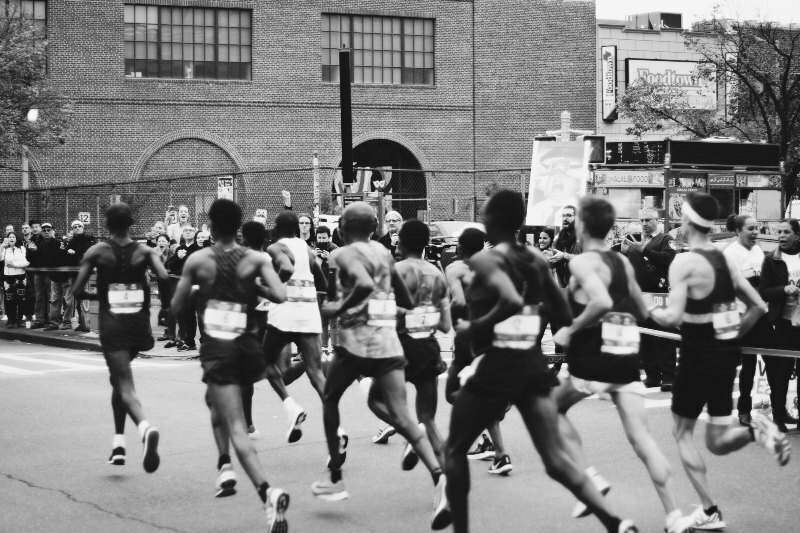 Don’t be an expo loiterer – Road race expos are an inevitable part of major marathons. If you’ve never been to one, they often involve dozens and dozens of stools marketing anything from trainers to energy bars to upcoming races. They can be chaotic (particularly the day before a race) and as you want to avoid stressful situations and hours on your feet, my advice is get in, register and collect your race number then leave. Avoid illness – Take precautions by getting plenty of rest, staying hydrated, avoiding alcohol and it’s also a good idea to carry around a bottle of hand sanitiser if you want to be extra cautious. Make a conscious effort to get sufficient sleep – Compared to one of your peak weeks, the time you spend training during the final few days will be very low. So use this time to relax and get plenty of sleep. Plan to be in bed at a reasonable time and do all you can to ensure good sleep throughout the run up. Practice race pace – Whilst you would’ve done your longer runs at slower than race speed and you may have carried out some tempo runs a little quicker, it’s a good idea to do some short runs at race pace during the final week. It will provide you with that final reminder of what your pace should feel like. Look over your training log – Doing this the night before can be a useful thing to do. It’s a reminder that you’ve done all the hard work, your preparations have been thorough, and you’re ready to go out there and do what you’ve been training for. Expect nerves – Let’s be honest, running a marathon is a big deal (particularly if it’s your first) so there will inevitably be nerves in the lead up. However, if you let your nerves take over you will be mentally fatigued on the start line. So when an anxious moment occurs, acknowledge it but then try to push it to one side and think about something else. Do your very best to relax, smile and enjoy it! Look out for further support in PerformancePro’s Marathon Training series over the next few weeks, when we focus on Marathon Recovery. Meanwhile, help yourself to PerformancePro’s growing archive of Fitness Insights.